The SHE Thrives bracelet in collaboration with lucy & jo. The bracelet represents that we are made to thrive even in the harshest conditions - and sustainable, healthy, ethical (SHE) changes are all around us. Supports arTISANS IN KENYA. Mother's Day is a wonderful way to give thoughtful gifts that celebrate and spur on change! We've gathered some of our favorite Mother's Day worthy gift ideas that are all things SHE - sustainable, healthy, and ethical. Each one is more than a gift, it carries impact and CHANGE for people and the planet. We saw the following state the other day and it stopped us in our tracks: 78% of women will put the care of others first over their own. It's an incredible trait for women - especially mothers - to care so deeply about the well-being of others, but you can't pour from an empty cup. 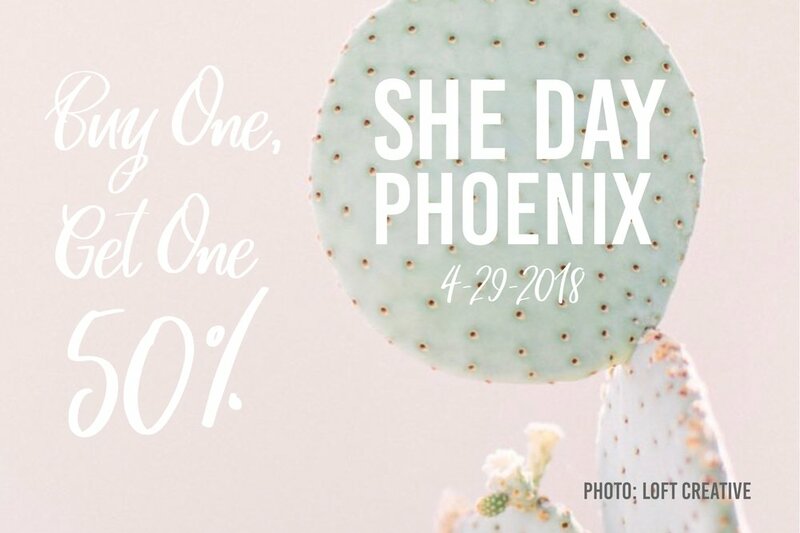 SHE Day is a chance for women to be inspired and supported and guided on their sustainable, healthy, ethical journeys through nutrition and education sessions, yoga, and integrated therapies. Come with her or gift a ticket to SHE Day to a mother you know who needs it! Be one of the next 20 women to purchase a BOGO bundel and you'll both get custom, handmade bracelets from Lucy & Jo as well. Chocolate = happiness? Right?! The great thing is these chocolate bars really do spread happiness to both people and the planet on the way to you. Fair trade practices make the chocolate farmers smile, organic growing makes the planet smile, and the sweet, smooth milk chocolate will be sure to make Mom smile as well. The best part? It's made from simple ingredients you don't have to scratch your head about and no hidden chemicals. 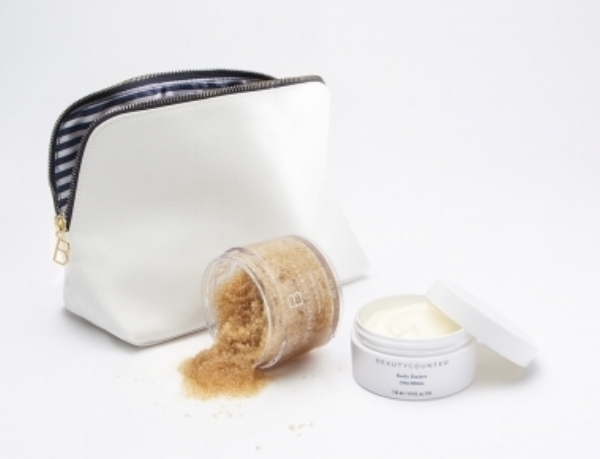 That's because BeautyCounter promises to follow the "Never List," using a health and safety standard that goes well beyond what is legally required in the United States. The Never List™ is made up of more than 1,500 questionable or harmful chemicals that are never used as ingredients in its products. If you've been looking for a new way to help your mom get more adventurous with essential oils or grow her collection, this is a fun kit launched just in time for Mother's day! Here's the bonus, while you'll create your own scents using the roller balls in this kit (it's so easy!) you'll also be rolling on the medicinal benefits of the oils: immune support, digestive support, cardiovascular support, emotional balance, and more. We haven't ever discovered a perfume that can do that! Life blinks by when you're a mom. So give her the gift of a coffee break to savor life! Even if she has to warm it up three times before she finally gets to drink it! We absolutely love this limited edition first-ever all-women produced coffee! This coffee comes straight from the "Mujeres Cafeteras" cooperative in the Serranía del Perija region of Colombia, which translates directly to "women coffee makers." It is a roasty, yet smooth Colombian coffee. The Gift of "Keeping It Together"
Each basket is handcrafted in Uganda. The interior fiber forming the core of each coil is banana fiber, around which raffia palm is wrapped. 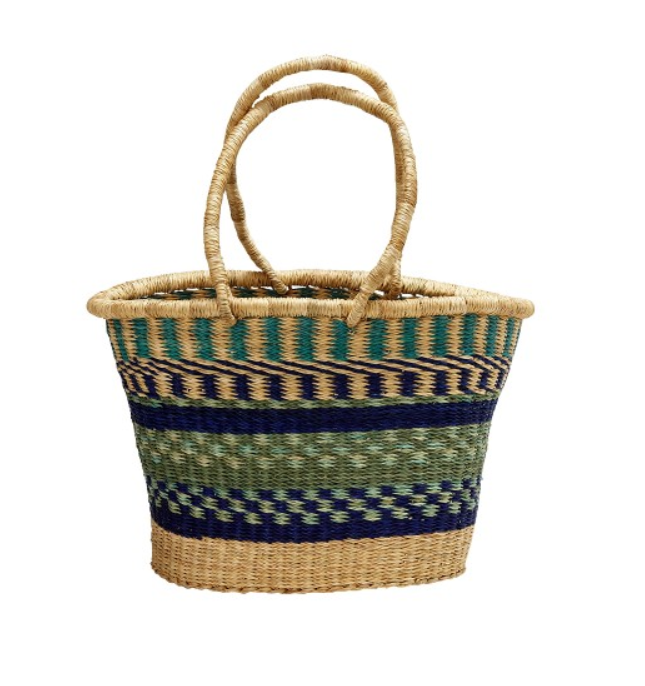 Hand-woven in the Bolgatanga region of northern Ghana, this basket provides income-earning opportunities for rural women working with Ele Agbe Company. When you use essential oils, you’re really using a form of alternative medicine and aromatherapy. The benefits are endless. We are on a mission to get rid of plastic in our home, so - while we always say that that best diffuser is the one you'll use, this plastic-free, nebeulizing version from Organic Aromas is our absolute favorite. Upgrade your mom to this plastic-free, waterless version for high quality diffusing! You can read more about the health benefits to this style of diffuser and why we love it so much here. You can use the code SHEAROMAS to get 20% off! (Note: We don't make anything if you use the code - it's a benefit to you that we asked for!